MR. WALT: Thank you very much. It's a pleasure to be here today, and I want to thank CAIR for inviting us to present the results of our research on the forces that shape U.S. Middle East policy. I think this is an important subject for all Americans and for all of the countries in the Middle East as well. Our presentation is going to be in two parts. I'm going to begin by summarizing the main arguments in our article on the Israel lobby, and then John will apply those ideas to the recent war between Israel and Lebanon, and show that you can't really understand what happened there if you don't understand the political power of pro-Israel groups in the United States. Our bottom line, as many of you know, is that the influence of the Israel lobby has led to policies that are not in the U.S. national interest, not in the interests of other countries in the region and, ultimately, not in Israel's long-term interest as well. We're going to try and limit our remarks to about 25 minutes apiece so there is time for comments and questions when we're done. All right. What's our core argument? We make several big arguments in our paper. First, we just document the level of support the United States provides to Israel -- about $3 billion a year in economic and military assistance each year. That's about $500 per year per Israeli citizen, despite the fact that Israel is a relatively wealthy industrial power. That aid is largely unconditional. It's not linked to Israeli behavior. It gets its aid when it builds settlements, it gets its aid when it spies on us, when it sells American high technology to countries like China, or when it attacks civilians in the West Bank, Lebanon or Gaza. Israel also gets consistent diplomatic support from the United States. Since 1982, for example, we have vetoed 33 U.N. Security Council resolutions that were critical of Israel. That's a total greater than all of the vetoes by all of the other Security Council members put together. And finally, we take Israel's side in wartime, as John is going to discuss in some detail. Moreover, over time we have tended to favor Israel's side whenever peace talks do occur. This led former U.S. negotiator Aaron Miller to state, a few years back, that the United States basically had acted as Israel's lawyer during the Oslo process and, of course, has been even more one-sided under President Bush. The bottom line here is no other country gets the same level of economic, military and diplomatic support. Now, that support is usually justified by saying that Israel is a vital strategic asset or by invoking various moral rationales. We argue in our paper that this level of support can't be fully explained by either strategic or moral arguments. With respect to the strategic argument, Israel may have been a useful ally during the Cold War. It's possible to make a pretty good argument on that basis. But the Soviet Union is now gone, the Cold War is over, and we don't face any great power rivals. Today, Israel is said to be a key ally in the war on terror and in our efforts to combat rogue states like Syria and Iran. But there are several big problems with this line of argument. First, it has the causal logic backwards. We don't back Israel because we have a common threat from terrorism; rather, we have a common threat from terrorism because we have been so closely tied to Israel. That's not -- again, let me be very clear here: That's not the only reason. I am not saying that our unconditional support for Israel is the only source of anti-American terrorism, but it is a very important one. This was clearly stated in the 9/11 commission report. This was the conclusion reached by separate studies by the U.S. State Department and by the Pentagon's Defense Science Board in the last couple of years. Numerous surveys of Arab public opinion confirm their strong resentment at unconditional American support for Israel, and if you go to our enemy bin Laden and look at his statements, it's quite clear that our support for Israel has been an issue for him for quite some time. Again, not the only source of anti-American extremism, but it is an important one. Second, although the United States does have some differences with other countries in the region, Israel turns out to be the main bone of contention between us and them. For example, last year, President Bush said we didn't want Iran to get nuclear weapons, not because it threatened to attack the United States, but, quote, "because it would threaten our ally Israel." There are a lot of good reasons why the United States doesn't want countries in that region to get weapons of mass destruction, but we shouldn't overstate that particular danger. Remember, those states could not use any WMD without being destroyed in retaliation, and that also means that threatening to use them wouldn't be very credible either. Finally, Israel's own nuclear arsenal is one reason why other countries in that area want them, and it makes it harder for us to put pressure on states that are trying to get them. Third, and perhaps most important, Israel isn't much of a strategic asset for dealing with those problems. For example, it could not participate in the 1990-'91 Gulf War or the more recent 2000 Gulf War -- in fact, in both cases, the United States had to divert military assets to protecting Israel. The bottom line here is that unconditional support for Israel makes winning the war on terrorism harder, not easier. There isn't a compelling strategic rationale for the current level of U.S. aid. Now what about the moral arguments? There are a set of different moral arguments justifying American support for Israel, because it's said to be vulnerable, surrounded by enemies, because it's the only democracy in the Middle East, or because it is said to have acted much better than its adversaries have. These arguments sound convincing, but if you look at them carefully, again, they can't explain why the United States gives it so much support and so unconditionally. Let me emphasize that John and I both believe there is a strong moral case for Israel's existence, based on the long history of anti- Semitism and the tragic experience of the Holocaust. And we also believe the United States should help protect Israel if its survival were in jeopardy. But Israel's existence is, fortunately, not in jeopardy. It's the dominant military power in the Middle East; it has several hundred nuclear weapons of its own. It is not going to be erased from the pages of history, no matter what some Islamic radicals or what Iran's president might say. And let me be very clear about this: John and I think this is a good thing. Israel does have some security problems, but the taproot of those problems is its failure to achieve a just peace with the Palestinians. Israeli defense forces are not all-powerful, but Hezbollah, Hamas or Iran couldn't conquer Israel today or in the foreseeable future. What about the rest of the moral case? It's true that Israel is a democracy, but that doesn't explain why we give it so much aid and so unconditionally. There are lots of democracies in the world, but none of them gets the kind of support that Israel does. And there are some aspects of Israeli democracy that are at odds with core U.S. values. The United States is a liberal democracy, a melting pot where all ethnic and religious groups are supposed to have equal status. Israel, on the other hand, was explicitly founded as a Jewish state. Its non-Jewish population is treated as a second-class citizenry. It also denies political rights to the several million Palestinians it has under its control. So Israel is a vibrant democracy, but only for part of its people. And my point, by the way, is not to single out Israel for criticism or to say that Israeli democracy is in some way wrong -- simply to point out that its democratic character cannot explain why we give it so much help. Finally, one cannot justify U.S. support by claiming that Israel has behaved better than the Palestinians. I'm not going to go into the details here, but a fair-minded look at the historical record shows that both sides have been guilty of terrorism, of wartime atrocities, and a great deal of brutal behavior. To be clear, we think Palestinian terrorism is wrong and that it has been counterproductive. But the Zionists also used terrorism in their own struggle to gain a state, and Israel's treatment of its Palestinian subjects today is morally indefensible. And you don't have to take my word for it. Just ask respected human rights organizations like Save the Children, Human Rights Watch, Amnesty International or the Israeli group B'Tselem. And plenty of Israelis, including former heads of Shin Bet, Israel's domestic security organization, would agree with that. Now once again, we are not saying that Israel has acted worse than other countries have. But neither has it acted any better, and one cannot explain U.S. support on this basis. So how are we to explain it? The answer is the political influence of the Israel lobby. We define the lobby as a loose coalition of individuals and groups who work to shape U.S. policy in a pro-Israel direction. It is not a centralized movement with a single headquarters. There are lots of differences within different organizations in it. It is not synonymous with American Jews, because many American Jews don't care that much about Israel. Others don't support the lobby's positions. And some of the groups that work powerfully on Israel's behalf, like Christian Zionists, are not Jewish. It is not a cabal, a conspiracy, and there's nothing improper or illegitimate about its activities. It's just a good old-fashioned American special interest group, and those interest groups are a central part of American political life. So how does it work, and why is it so powerful? Well, again, in the United States, given the way our government is organized, small groups with a very focused agenda often wield lots of political power because they care a lot, because they work 24/7 and because they hold crucial swing votes. If the rest of the population is largely indifferent, those with a single focus can get their way despite being relatively small in number. Think of the power of the farm lobby, even though farmers are less than 2 percent of the American population. Think of the National Rifle Association. Think about other ethnic lobbies, such as Cuban-Americans. Second, the Israel lobby is particularly well funded and effective. AIPAC's annual budget is almost $50 million. They have a large, full-time staff, regional offices around the country. They're very good at steering campaign contributions to political candidates, either to reward people who are pro-Israel or to penalize people who are regarded as suspect. Groups and individuals in the lobby write articles, letters, op-eds defending the U.S.-Israel relationship. Representatives of these groups talk directly to legislators, help draft legislation, meet with other government officials and, in general, work overtime to shape the public discourse in the United States so that Israel is viewed favorably by most Americans. Now, this turns out to be easy to do because most mainstream media are strongly pro-Israel. For example, it's hard to think of any prominent pundit or commentator who's strongly critical of Israel or strong pro-Arab. But it's easy to think of lots of commentators who are openly pro-Israel. Finally, groups from the lobby are quick to attack and smear anyone who criticizes Israel, Israel's policies or criticizes U.S. support. And other pro-Israel groups organized boycotts and blacklists against media organizations that might report something negative about Israel. They put pressure on universities to marginalize anyone who's critical. And finally, as most of you know if you're in Washington, most of the major District of Columbia-based think tanks, like the Washington Institute for Near East Policy, the American Enterprise Institute, Heritage Foundation, Brookings Institute, all tilt in Israel's direction. There are other more smaller and more specialized groups that are even more extreme in that way. For all of these reasons, the Israel lobby is quite powerful, and this is no secret. AIPAC was ranked number two in the National Journal's survey of lobbies in March 2005 -- tied with the AARP, by the way. And it was also ranked second in the 1997 survey by Forbes magazine. Bill Clinton said AIPAC was, quote, "better than anyone else lobbying in this town." Newt Gingrich said it was, quote, "the most effective general interest group across the entire planet." Former Senator Fritz Hollings said as he was leaving office, "You can't have an Israel policy other than what AIPAC gives you around here." And it's no surprise, therefore, that Israeli Prime Minister Ehud Olmert recently said, "Thank God we have AIPAC, the greatest supporter and friend we have in the whole world." Now finally, we argued that the lobby had a powerful and negative effect on U.S.-Middle East policy. And we just have to imagine what the world and what U.S. policy might be like if the lobby were less influential. If the lobby were less powerful, the United States would have used its leverage over the last 30 years to discourage the settlements policy or prevent it completely. Every American president since Lyndon Johnson has opposed the settlements and declared them an obstacle to peace. But no president was willing to pay the political price to stop them. Instead, we subsidized them, and many Israelis, of course, now understand this was a tragic mistake. They radicalized the Palestinian population, encouraged the growth of Islamic extremism, cost billions of dollars and thousands of lives and undermined Israel's image around the world. So the lobby's influence undermined Israel's security as well as our own. If the lobby were less influential, the United States would have adopted a more independent policy toward the peace process instead of acting, again, as Israel's lawyer. Now, people in the lobby routinely blame the failure of the peace process entirely on Yasser Arafat, even though it's clear, of course, that the United States, Israel and the Palestinians all deserve a share of the blame for the failure of the Oslo process. But if Arafat was the problem, why hasn't the United States done anything to support Mahmoud Abbas? He was elected in a democratic election. He has recognized Israel, rejected terror and called for a negotiated settlement. Given all our problems in the Middle East, and especially our deteriorating image in the Arab and Islamic world, you'd think we would have jumped on this opportunity to try and accomplish something. What do we do instead? We give Abbas nothing. We endorse further Israeli encroachments on the West Bank instead. And what's the result? The election of Hamas, leaving everybody, including Israel, worse off. If the lobby were less influential, the United States would have been much less likely to have invaded Iraq in 2003. This war was conceived by neoconservatives -- many of them connected in the lobby -- encouraged by many Israeli leaders and endorsed openly by groups like AIPAC. Now, I want to emphasize here the lobby's influence is not the only reason why the United States went to war in Iraq. Indeed, the lobby could not get either Clinton or Bush to go to war by themselves, even though the neoconservatives were pushing for it from the late 1990s onward. So we don't argue that they were singularly responsible. The key additional factor was September 11th, which turned Cheney and Bush in favor of war. So without 9/11, you don't get a war in Iraq either. But remember, neoconservatives, like Paul Wolfowitz in the Pentagon, were quick to link Saddam Hussein to September 11th, even though there was no connection, and key groups in the lobby pushed very hard to make the case for war. So we argue that the Israel lobby was a necessary, though not sufficient, condition for the Iraq war. Without the lobby, the war would have been much less likely. And finally, if the lobby were weaker, U.S. policy towards Iran would have been more flexible and possibly more effective. For the past decade or more, a number of prominent American experts have called for a more flexible policy towards Iran, but they get nowhere because AIPAC has pushed for a hard-line approach. Iran has made several overtures to us over the past decade getting no response. They actually helped us after September 11th, and we rewarded them by putting them in the axis of evil and calling for regime change. They sent a back-channel message in 2003 which included a somewhat veiled offer to end support for Hezbollah, possibly recognize Israel. We rejected because key groups in the lobby were adamantly opposed to any opening. What result? The Iranian hard-liners get stronger, Ahmadinejad gets elected, Iran's nuclear ambitions get reinforced. Again, the point I want to underscore here is that in all of these cases our policy has been bad for the United States and bad for Israel as well. Now I want to highlight two things I didn't say, that we didn't say in our article. We did not say that the Israel lobby was all-powerful. Let me repeat this. This is not some secret cabal that controls our foreign policy. And there are countervailing forces out there, though they are much weaker, and the lobby doesn't get its way on every single issue. But nobody who's worked on these issues in Washington would deny that it's a very effective set of individuals and organizations. And I would argue they get their way now more than they used to. Second, we didn't accuse and don't accuse anyone of being disloyal to the United States. Rather, we recognize that all of us have many commitments and affinities to our country, to our religion, to our families, sometimes to our employers. It's entirely permissible for those different commitments and attachments to manifest themselves in politics. That's perfectly okay here in the United States. People like Paul Wolfowitz or Doug Feith and people who work for AIPAC advocate policies they think are good for Israel and the United States alike. We don't think there's anything wrong with that. But we also don't think there's anything wrong for others to point out these individuals do have attachments that shape how they think about the Middle East and how they think about American policy in that region. And we see nothing wrong with saying that the views they think are in our best interests might not be in America's best interest of that of Israel. Now, before I sum up, I want to make just a couple of quick comments about the public reaction to our article. When we wrote it, John and I knew it was likely to be controversial. We were disappointed that much of the reaction consisted of attacks on our characters or on extraneous issues rather than on a serious discussion of our main arguments. As I said before, we really didn't say anything that was all that controversial, that wasn't common knowledge inside the Beltway. And if you've looked carefully at our paper, you'll note that most of our analysis relies on "controversial" sources like The New York Times, The Washington Post, The Wall Street Journal, Ha'aretz and Forward. As I noted, again, Washington insiders in both parties are well aware of the influence that the lobby has. And so it wasn't what we said, it was rather that two card-carrying members of the mainstream foreign policy establishment with rather impeccable, even boring, middle-of-the road credentials and absolutely no trace of an anti-Semitic history, attitudes or behavior finally pointed out the elephant in the room. So what happened? Well, there were the predictable accusations that we were anti-Semites and various attempts to smear us by associating us with people like David Duke. People who offered these charges gave no evidence to back them up, of course, for the simple reason that there isn't any evidence. There was lots of attention on a very extraneous issues, such as whether the Kennedy School, where I work, had asked me to step down from my position as academic dean. For the record, it didn't. When people did discuss the substance, they tended to misrepresent our arguments or erroneously accused us of various factual errors. Now, John and I have already dealt with some of those charges in a letter to the London Review. We are now preparing a lengthy response to our critics that will show the various factual criticisms are without foundation. And it's also worth noting that most of these criticisms dealt with secondary issues anyway, not with the main arguments in our book. The most peculiar claim, to us, was the claim that we were sloppy, that somehow the paper's very sloppy. What you want to ask yourself is, does this seem at all likely? John and I have between us written six books and countless articles. People have disagreed with us throughout our careers, but no one has ever said before that our work was sloppy. Is it credible to think that the two of us would tackle a third-rail issue like this one and suddenly decide to be careless and cavalier in what we did? I might add the pieced was vetted by a number of other scholars in the field. We sent drafts around to lots of people to get comments before we published it to make sure that there were no meaningful errors in it at all. Now finally, if you then look at the people who aren't connected to the lobby and they take a careful look -- the ones who have taken a look at our claims, they tend to agree with us. Michael Massing wrote an essay in The New York Review of Books where he repeated, unfortunately, some of the bogus charges against the paper. But his bottom line is quite clear, and I quote it: Quote, "On their central point, the power of the Israel lobby and the negative effect it has had on U.S. foreign policy, Mearsheimer and Walt are entirely correct." Similarly, L. Carl Brown, a distinguished professor emeritus at Princeton, recently wrote in Foreign Affairs that our paper was neither sloppy nor anti-Semitic. Instead, he called it a hard-headed analysis that just might set in motion a useful paradigm shift in U.S.-Middle East policy. Now, needless to say, we are pleased that the conversation is starting to focus on substance. 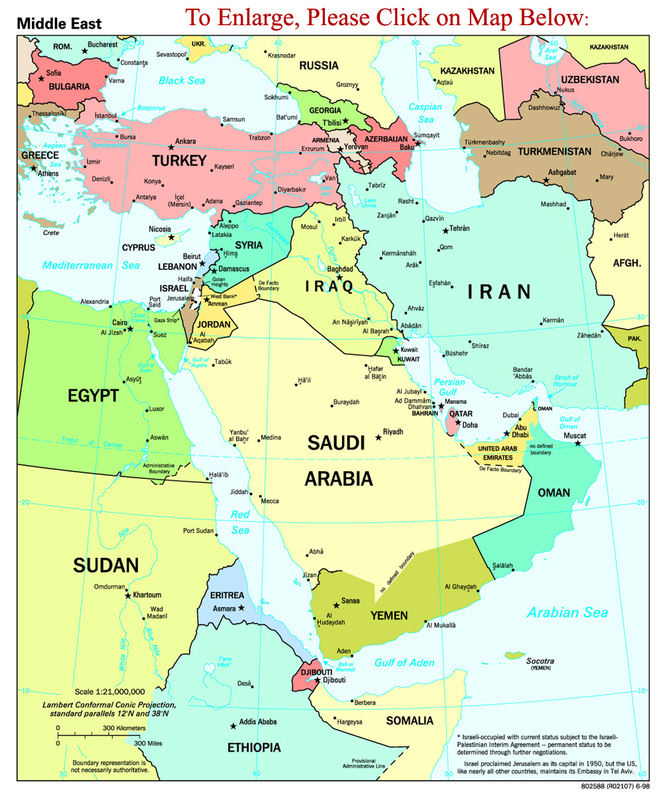 Our country faces very serious problems in the Middle East, in Iraq, with Iran and Saudi Arabia and the tragic conflict between Israel and the Palestinians. And we are not going to deal with any of these problems effectively if we cannot discuss these issues openly and honestly and if we can't discuss all of the factors that influence our policy in the region. Now meanwhile, outside the Beltway and back in the Middle East, there is a growing conflict between Israel and the Palestinians. Israeli forces were once again reoccupying Gaza. Hamas captured an Israeli soldier and was launching Katyushas. And at this point, Hezbollah ambushed an Israeli patrol near the Israeli-Lebanese border which gave Israel the pretext to launch to preplanned campaign to eliminate or gravely weaken Hezbollah. As John will now explain, this tragic and unnecessary war provides additional evidence for how the Israel lobby is shaping U.S. policy and harming the United States, Israel and Israel's neighbors. MR. SAYLOR: I'd just like to step in and remind everybody again you have the cards for questions. Please write down your questions, pass them to the aisles and we'll have people come around and collect them. Professor John Mearsheimer is a professor at the University of Chicago. He graduated from West Point in 1970 and has written extensively about security issues and international politics. MR. MEARSHEIMER: Thank you, Corey. Thank you, Steve, for your excellent presentation and introduction. I will proceed by describing the extensive support that the United States provided Israel during the recent Lebanon war. Next, I will attempt to show that this support did not make good strategic sense for the United States and, also, that there was no compelling moral rationale for it. In fact, the opposite is the case. I will then argue that the main reason that the United States supported Israel was the lobby. Finally, I will consider two alternative arguments that Israelis and their supporters in this country sometimes employ to explain America's unconditional support for Israel during the Lebanon conflict. Specifically, I'll examine the claim that U.S. policy reflects American public's deep commitment to Israel as well as the claim that Israel was acting as America's client state in its war with Hezbollah. In short, I will argue that this administration's policy in Lebanon was not in America's national interest. I might add that I do not think it was in Israel's national interest either. Israel would have been much better off if the United States had given it a red light instead of a green light when it proposed its plan to attack Lebanon. That way, Israel would have been forced to come up with a smarter response and would have avoided the debacle that ensued in Lebanon. American support for Israel and Lebanon started when the Bush administration gave Israel the okay to try to smash Hezbollah at an opportune moment. It now seems clear that Israel had been planning to strike at Hezbollah for months before the July 12th kidnapping and that key Israeli had briefed the administration about their intentions. The available evidence indicates that the Bush administration enthusiastically endorsed Israel's plans for war in Lebanon. Once the war began and Israel came in for severe criticism from all around the world, the Bush administration provided Israel with diplomatic protection. It vetoed a U.N. Security Council resolution that criticized Israel, and it worked assiduously for about a month to prevent the U.N. from imposing a cease-fire so that Israel could try to finish the job with Hezbollah. Only when it became apparent that the IDF was not going to win a decisive victory did the Bush administration and Israel accept the need for a cease-fire. During the ensuing negotiations, which resulted in Resolution 1701, the United States went to great lengths to protect Israel's interests. In fact, as the resolution was being finalized, Israeli Prime Minister Ehud Olmert called President Bush on August 11th and thanked him for, quote, "safeguarding Israel's interests in the Security Council," end of quote. The president also frequently defended Israel's actions in public and never offered a word of criticism. John Bolton, the U.S. ambassador to the U.N., defended Israel at every turn during the Lebanon war. Finally, the administration provided Israel with intelligence during the conflict. And when Israel started running out of smart bombs, the president quickly agreed to send replacements. It was no surprise that Shai Feldman, an Israeli scholar, said, quote, "There is huge, huge appreciation here for the president." Congress has long been the place where Israel finds its strongest support in America. And its behavior during the Lebanon conflict confirmed that situation. Democrats and Republicans competed to show that their party, not the rival one, was Israel's best friend. One Jewish activist said that he thought that, quote, "It's a good thing to have members of Congress outdo their colleagues by showing their pro-Israeli credentials are stronger than the next guy's." In the end, there was virtually no daylight between the two parties regarding Israel, which is quite remarkable when you think of the sharp differences between the two parties on most other important foreign policy issues, like Iraq, for example. In terms of concrete action, the House of Representatives passed a strongly worded resolution supporting Israeli policy in Lebanon. The vote was 410-8. The Senate unanimously passed a similar resolution which was sponsored by 62 senators, including the leaders of both parties. A number of prominent Democrats, including the parties' leaders in both the House and the Senate, tried to prevent Iraq's prime minister from addressing Congress because he had dared to criticize Israeli policy in Lebanon. Howard Dean, the chairman of the Democratic Party, went so far as to say the Iraqi prime minister is an anti-Semite. Potential presidential candidates for 2008, like Hillary Clinton, John McCain, Joe Biden and Newt Gingrich, were falling all over themselves to express their support for Israel. The only exception to that rule was Senator Chuck Hagel, who expressed mild reservation about what Israel and the United States were doing in Lebanon. One can be sure that he stands zero chance of becoming the next president of the United States. The mainstream media also stood firmly behind Israel. Editor and Publisher, a distinguished journal which covers the newspaper industry, surveyed dozens of newspapers about a week after the war began and found that, quote, "almost none of them have condemned the Israeli attack on civilian areas and the infrastructure of Lebanon." The 24-hour cable news stations were filled with reports and commentary which portrayed Israel as a beleaguered combatant that could do no wrong. Perhaps the situation in the mainstream media is best summed up by these words from an article in The Independent, a British newspaper. Quote: "There are two sides to every conflict unless you rely on the U.S. media for information about the battle in Lebanon." Viewers have been fed a diet of partisan coverage which treats Israel as the good guys and their Hezbollah enemy as the incarnation of evil. Not only is there next to no debate; the debate itself is considered unnecessary and suspect. What makes America's overwhelming support for Israel so remarkable is that the United States was the only country that enthusiastically supported Israel's actions in Lebanon. In fact, almost every other country in the world, as well as the U.N. leadership, criticized Israeli policy and, I might add, Washington's unyielding support of Israel. This situation raises the obvious question: Why was the United States so out of step with the rest of the world? One possible answer is that supporting Israel made eminently good strategic sense for the United States. However, that's not the case. The war in Lebanon undermined America's position in the Middle East. To be more specific, the United States has three major strategic concerns in that critically important region. The first is terrorism, which is mainly about neutralizing al Qaeda, although the United States is also committed to dealing with Hamas and Hezbollah. The second concern is so-called rogue states, like Iran and Syria, which not only support terrorism but, in the case of Iran, seems determined to acquire nuclear weapons. The third concern is the war in Iraq, which the United States is in danger of losing. The Bush administration's support for Israel in the recent Lebanon war complicates Washington's ability to deal with all three of these problems. Events in Lebanon have complicated America's terrorism problem in two ways. First, it has reinforced anti-Americanism in the Arab and Islamic world, which surely will help al Qaeda find new recruits who want to attack the United States and its allies. This increased hostility towards America will also generate public support for those terrorists in the Middle East and elsewhere. Second, the conflict has increased Hezbollah's standing inside and outside of Lebanon. Although Hezbollah does not directly threaten the United States, Washington has an interest in weakening its influence in the region. However, by supporting Israel's offensive in Lebanon, it helped make Hezbollah stronger, not weaker. The conflict in Lebanon has also made it more difficult to deal with Iran and Syria. While there is no question that both countries support Hezbollah, the United States has a powerful interest in weakening or breaking those linkages, as well as breaking the linkage between Iran and Syria. Instead, the Bush administration has blindly supported Israel and has treated Hezbollah, Iran and Syria as part of a seamless web of evil. The result: One, Iran and Syria are more likely to continue arming and supporting Hezbollah; two, Iran and Syria have even more reason to keep the United States pinned down in Iraq so that it cannot attack either of them; three, Iran has more reason than ever to acquire nuclear weapons so that it can deter an Israeli or U.S. attack on its homeland. It's also worth noting that the IDF's lackluster performance in Lebanon makes clear that it will not be of much value in helping the United States deal with this threat environment, which its actions helped create and continue to fuel. As Steve said, Israel is not a strategic asset for dealing with terrorist threats or rogue states. As noted, U.S. policy during the Lebanon war has given Iran and Syria more reason to do what they can to make life miserable for the United States in Iraq. However, it also angered Iraqis themselves, especially Iraqi Shi'a, who feel a powerful sense of allegiance to Hezbollah because it represents the Shi'a of southern Lebanon. The United States is obviously in deep trouble in Iraq, and it cannot afford to further alienate the local population. But that is what the Bush administration's policy in Lebanon did. Finally, the policy was strategically foolish because it endangers friendly regimes in Egypt, Jordan and Saudi Arabia and runs the risk of causing a civil war in Lebanon and undoing the Cedar Revolution, which President Bush did so much to make happen. American policy also angers our allies in Europe and raises doubts about whether the United States is a reliable ally for dealing with the terrorist and proliferation threats in the Middle East, which is much closer to Europe than is the United States. In sum, backing Israel to the hilt in its war with Lebanon was not in America's strategic interest. It is hard to disagree with Aaron Miller's observation that, quote, "There is a danger in a policy in which there is no daylight whatsoever between the government of Israel and the government of the United States." One might concede that support for Israel had significant strategic costs, but argue that it was nevertheless the correct policy for moral reasons. Israel, so the argument goes, has the right to defend itself, and it did so in a way that conformed to the laws of war. Let me address this line of argument. To start, there's no question that Israel has the right to defend itself. Hardly anyone contests that point, and Steve and I certainly do not. The critical issue here is whether Israel's actions were consistent with the laws of war. That's the question on the table. The answer is no. The Israeli campaign against Lebanon had two components. The first was to destroy Hezbollah as a fighting force. Special attention was paid to eliminating the thousands of missiles and rockets that it possessed. The second component was a classic punishment campaign. Here the aim was to inflict massive pain on Lebanon's civilian population by destroying infrastructure and killing civilians. One might think that Israel only initiated its punishment campaign in response to Hezbollah's attacks on Israeli civilians, but that would be wrong. Remember how the war started. It began on July 12th, when Hezbollah fighters killed three Israeli soldiers and captured two more near the border between Israel and Lebanon. Israel responded by bombing Lebanon, which in turn led Hezbollah to launch rockets and missiles at towns and cities in northern Israel. Thus, although Hezbollah precipitated the conflict, Israel initiated the deadly counterpopulation exchanges. Israeli leaders made it clear from the start that all of Lebanon would pay a severe price in the war. For example, General Dan Halutz, the Israeli chief of staff, said at the beginning of the conflict that he intended, quote, "to turn back the clock in Lebanon by 20 years." He was also quoted at one point as saying that, quote, "Nothing is safe in Lebanon." And he was true to his word. Consider Amnesty International's assessment of what the IDF wrought in Lebanon. I'm going to read from the report. "During more than four weeks of ground and aerial bombardment of Lebanon by the Israeli armed forces, the country's infrastructure suffered destruction on a catastrophic scale. Israeli forces pounded buildings into the ground, reduced entire neighborhoods to rubble, and turned villages and towns into ghost towns as their inhabitants fled the bombardments. "Main roads, bridges and petrol stations were blown to bits. Entire families were killed in air strikes on their homes or in their vehicles while fleeing the aerial assaults on their villages. Scores lay buried beneath the rubble of their houses for weeks as the Red Cross and other rescue workers were prevented from accessing the areas by continuing Israeli strikes. "The hundreds of thousands of Lebanese who fled the bombardment now face the danger of unexploded munitions as they head home. The Israeli air force launched more than 7,000 air attacks on about 7,000 targets in Lebanon between 12 July and 14 August, while the navy conducted an additional 2,500 bombardments. "The attacks, although widespread, particularly concentrated on certain areas. In addition to the human toll" -- here's the human toll -- "an estimated 1,183 fatalities, about one-third of whom were children, 4,054 people injured, and 970,000 Lebanese people displaced. "The civilian infrastructure was severely damaged. The Lebanese government estimates that 31 vital points, such as airports, ports, water and sewage treatment plants, electrical facilities, have been completely or partially destroyed, as have around 80 bridges and 94 roads. More than 25 fuel stations and around 900 commercial enterprises were hit. The number of residential properties, offices and shops completely destroyed exceeds 30,000. Two government hospitals were completely destroyed in Israeli attacks, and three others were seriously damaged." I could go on, but I won't. Amnesty International is hardly alone in its assessment of the damage the IDF inflicted in Lebanon. William Arkin, an American security expert and a self-proclaimed, quote-unquote, "fan of air power," wrote in The Washington Post that, quote, "In carrying out its punishment campaign, Israel has left behind a shocking level of destruction outside the direct battle zone. I hesitate to use the words 'laid to waste' and 'moonscape' in describing the condition in urban Lebanon, because the same kinds of words are thrown around so promiscuously in describing U.S. air strikes. But what Israel has wrought is far more ruinous than anything the U.S. military, specifically the U.S. Air Force, has undertaken in the era of precision warfare." It seems intuitively clear that Israel's destructive campaign in Lebanon violated the laws of war. But that's not enough. It's important to understand the specifics of the case. The bedrock distinction that underpins the laws of war, as well as just-war theory, is between civilian and military targets. There is no question that states have the right to defend themselves by attacking each other's military assets. However, they are not supposed to directly attack civilian targets in another state unless, of course, they morph into military targets in the course of the war. Furthermore, when attacking an adversary's military targets, states must make a determined effort to minimize collateral damage. This is where the well-known concept of proportionality comes into play. It says that when states strike at military targets, they must make sure that there is not excessive collateral damage, given the particular value of the military target. In short, states cannot attack enemy civilian targets on purpose, and they must take great care to avoid collateral damage when hitting military targets. Israel failed to observe either of these distinctions. There's no question that Israel purposely attacked a wide array of civilian targets in Lebanon. The description of the devastation from the Amnesty International report makes this clear. Remember, it concluded that Lebanon's, quote, "infrastructure" suffered destruction on a catastrophic scale. That report also says at another point that Israel's bombing campaign resulted in, quote, "massive destruction of civilian infrastructure," end of quote. In a separate study of Israel's offensive in Lebanon, Human Rights Watch -- this is not Amnesty International, but Human Rights Watch -- concluded that, quote, "Israel has violated one of the most fundamental tenets of the laws of war -- the duty to carry out attacks on only military targets." It's also clear that Israel did not take care to avoid collateral damage in striking targets that it considered military in nature. Indeed, Human Rights Watch concluded that despite Israel's claims that it was, quote, "taking all possible measures to minimize civilian harm," end of quotes, in fact, there was, quote, "a systematic failure by the IDF to distinguish between combatants and civilians," end of quotes. Israel and its supporters invariably respond to this charge with the claim that Israel may have killed a large number of innocent civilians, but that was only because Hezbollah was using them as human shields. The Human Rights Watch study that I just referenced, however, directly contradicts that claim. To quote from the report, "Human Rights Watch found no cases" -- no cases -- "in which Hezbollah deliberately used civilians as shields to protect them from the retaliatory IDF attacks." In none of the cases of civilian deaths documented in this report is there evidence to suggest that Hezbollah forces or weapons were in or near the area that the IDF targeted during or just prior to the attack. Regarding the issue of proportionality, the report also declares that, quote, "The IDF consistently tolerated a high level of civilian casualties for questionable military gain. At least one Israeli leader made no bones about the fact that Israel was violating the proportionality principle. Dan Gillerman, Israel's ambassador to the United States, said early in the war, "To those countries who claim that we are using disproportionate force, I have only this to say. You are damn right we are." In sum, it is impossible to make the case that the United States supported Israel during the Lebanon war because it was the morally correct policy choice. If morality was the issue, the Bush administration would have condemned Israel's action in Lebanon from the start. The principal reason, of course, that the United States backed Israeli policy in Lebanon, while the rest of the world criticized it, is the Israel lobby. AIPAC and other organizations in the lobby worked overtime from start to finish to make sure that there was no daylight between American and Israeli policy. Four days after the war began, Nathan Gutman wrote in The Jerusalem Post: "The American Jewish community has been demonstrating wall-to-wall support for Israel as it fights on two fronts. Pro- Israel organizations raised money for the Jewish state, took out advertisements in newspapers, closely monitored the media and met with legislators and staff on Capitol Hill, policymakers in the Bush administration and influential media figures. They left no stone unturned." There are numerous examples of the major organizations at work. Here are three of them: first, there was an effort to temper the House resolution supporting Israel by supporting language urging, quote, "all sides to protect life and infrastructure." Congressman Nancy Pelosi, the House minority leader, and Senator John Warner, among others, favored that change in language. One would think that such language would be unobjectionable, if not welcome, but AIPAC, which was the main driving force behind the resolution to begin with, objected. And John Boehner, the House majority leader, kept the proposed language out. The resolution still passed 410 to 8. Second, Chris Van Hollen, a congressman - a Democratic congressman from Maryland - wrote a letter to Secretary of State Condoleezza Rice on July 30th urging her, quote, "to call for an immediate cease-fire to be followed by a rapid deployment of an international force in southern Lebanon." He also wrote that, quote: "The Israeli response has now gone beyond the destruction of Hezbollah's military assets. It has caused huge damage to Lebanon's civilian infrastructure, resulted in the large loss of civilian life and produced over 750,000 refugees. Hezbollah is undeniably the culprit, but it is the Lebanese people, not Hezbollah, who are increasingly the victims of the violence. As a result, the Israeli bombing campaign supported by the United States has transformed Lebanese anger at Hezbollah into growing hostility toward Israel and the United States." The lobby was furious with Van Hollen and quickly moved to tell the congressman in no uncertain terms that he should never have written the letter. Van Hollen met with various representatives from major Jewish organizations, who explained to him the basic facts of life in American politics. (Laughter.) The congressman apologized saying, quote: "I am sorry if my strong criticism of the Bush administration's failures has been interpreted as a criticism of Israel's conduct in the current crisis. That certainly was not my intention." He emphasized that he would continue to be an advocate for Israel and he was talking to Jewish leaders about the possibility of traveling to Israel within a few weeks. Still, the leader of the Jewish Community Relations Council of Washington told him that, quote, "He needs to continue to reach out to the Jewish community to reassure the Jewish community he is going to be there for Israel." The ADL's regional director for Washington said that as far as he was concerned, Van Hollen's response, quote, "doesn't undo the damage of the first letter." The third example: Early in the war, President Bush urged Israel to be careful not to topple the democratically elected government in Lebanon, which the president had helped put in power. The lobby took issue with Bush and sent him the message that it considered his rhetoric unacceptable. For example, the Jewish newspaper Forward reported on July 14th that, quote, "The Bush administration is being criticized by some Israeli and Jewish communal officials for calling on Jerusalem not to undermine the democratically elected Lebanese government," end of quote. Abraham Foxman, the head of the ADL said, quote, "The administrations in Western countries want to shore up the Lebanese government, but it is a misguided policy to do so - and the same holds for Abu Mazen. They feel it's better than a vacuum, but you should not support what's meaningless, and we knew from the beginning that Abu Mazen would go nowhere and that the Lebanese government would be ineffective." Not surprisingly, Bush stopped talking about the need to protect the government in Beirut. Lest you think that I'm making this up, it's worth noting that the key organizations in the lobby have been quite open and candid in discussing their influence on U.S. policy during the Lebanon war. Indeed, it is not an exaggeration to say that they have boasted of it. For example, AIPAC's president, Howard Friedman, wrote a letter to friends and supporters of his organization on July 30th, which he began by saying, "Look what we've done." He then wrote, quote: "Only one nation in the world came out and flatly declared, let Israel finish the job. That nation is the United States of America. And the reason it had such a clear, unambiguous view of the situation is you and the rest of American Jewry." It is hardly surprising, therefore, that Prime Minister Ehud Olmer recently said, "Thank God we have AIPAC - the greatest supporter and friend we have in the whole world." Organizations like AIPAC were not the only players in the lobby who were hard at work during the recent conflict. Journalists like Charles Krauthammer and William Kristol made the case, to use Kristol's words that Israel's war is, quote, unquote, "our war." The Christian Zionists also rallied behind Israel. The recently formed Christians United for Israel held a two-day Washington-Israel summit here in the capital in mid-July. It attracted 3,500 people and participants were encouraged to express their support for Israel by sending a loud and clear message to their senators and representatives. The executive director of another group, the Christian Friends of Israel, offered the rather un-Christian insight that, quote, "This was certainly an unprovoked attack and Israel has every right to go in and pound them." There are also a number of individuals with deep attachments to Israel in key policymaking positions inside the Bush administration. I've already mentioned John Bolton. More importantly, the two most influential advisors on Middle East affairs in the White House are both fervent supporters of Israel. Consider Elliot Abrams, the senior director at the National Security Council, who's devotion to Israel is well established. Not surprisingly, The New York Times reported during the war that he, quote, "has pushed the administration to throw its support behind Israel." The other key figure is David Wurmser, who is Vice President Cheney's advisor on the Middle East. Wurmser, who makes no bones about his deep commitment to Israel, is one of the main authors of the famous "Clean Break" study written in 1996 for incoming Israeli Prime Minister Benjamin Netanyahu. It advocated that Israel end the Oslo peace process and use military force to topple regimes across the Middle East. In sum, it is clear that the lobby played a critical role in shaping U.S. policy toward Israel and the broader Middle East during the recent war between Israel and Lebanon. Nevertheless, it did so in ways that were neither in America nor the Israeli national interest. Now, one might argue that Washington's unyielding support for Israeli policy is not the result of the lobby's influence, as we claim, but is due to the fact that the American people are deeply committed to Israel. In other words, Israel gets unconditional support because the U.S. public demands it. This line of argument is not convincing for two reasons. First, it is clear that American citizens are more favorably disposed toward Israel than are citizens in other democracies, but this is hardly surprising since the lobby is so successful at controlling the discourse about Israel in the United States. If there was an open and freewheeling debate about the Jewish state, public opinion here would almost certainly be more in line with European and Asian public opinion on Israel. Second, despite the one-sided discourse about Israel in the United States, public opinion is still surprisingly clear eyed when it comes to dealing with Israel. In fact, Americans have a much more critical view of Israeli policy than government officials do. And they are certainly much more hard-nosed in how they think about dealing with Israel. Thus, it is hard to argue that the policies of the Bush administration and the behavior of Congress reflect public attitudes about Israel. To elaborate, let's look at some representative survey data on four critical issues related to the recent war in Lebanon. On the question of who is to blame for starting the conflict, in an ABC News/Washington Post poll conducted on August 3-6, 46 percent of the respondents said that Israel and Hezbollah were equally to blame - that's 46 percent. Another 7 percent blamed Israel alone. On the question of whether Israel has gone too far in its attacks, a USA Today/Gallop Poll conducted on July 21st to 23rd found that 38 percent of the respondents said that they disapproved of the military action Israel has taken in Lebanon. On whether the United States should support Israel or remain neutral, in a CBS News/New York Times poll conducted on July 21 to July 25th, 40 percent of the respondents said the United States should not publicly support either Israel or Hezbollah, but should say and do nothing. Seven percent favored criticizing Israel and another 14 percent were unsure what to do; 39 percent favored supporting Israel. On whether the United States and Israel should agree to an immediate cease-fire, a July 19th, 2005, CNN poll found that 43 percent of the respondents said that Israel should agree to a cease-fire as soon as possible. In short, there's a marked asymmetry between how Americans think about Israel and the recent conflict in Israel and what the U.S. government has done. Thus, one cannot argue that the actions of the Bush administration and the Congress during the 33-day war were largely a reflection of American public opinion. The second alternative explanation which one sometimes hears is that the United States is in fact the driving force behind the war in Lebanon and Israel is merely its client state. Israel, in other words, is a loyal ally doing the Bush administration's dirty work. There are two reasons to doubt this claim. First, if this claim was true, Israel's bombing offensive would have been confined to southern Lebanon and great care would have been taken to protect and strengthen the Lebanese government. After all, President Bush made it clear at the start of the crisis that he did not want to endanger the government in Beirut, which he had worked so hard to install. More generally, the United States almost certainly would not have sought to set Lebanon back 20 years, as called for by Israel's chief of staff. Second, there's actually little evidence that the Bush administration planned the offensive and then pushed Israel to execute it. In fact, the available evidence suggests that Israel had planned the Lebanon campaign in the months before the events of July 12th, which it used as a pretext for launching it. Israel undoubtedly briefed the United States about the plan and got Bush's endorsement. But giving Israel the green light is not the same as using Israel as a client state. In conclusion, neither of the alternative explanations can account for American policy during the recent war in Lebanon, nor can one find the compelling strategic or moral rationale that explains why the United States provided Israel with unyielding support while the rest of the world criticized Israeli behavior in Lebanon. 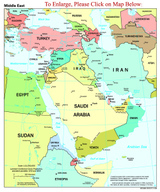 In fact, the lobby was the main driving force behind U.S. Middle East policy, as it has been since the late 1960s. The war in Lebanon has been a disaster for the Lebanese people, as well as a major strategic setback for the United States and for Israel. The lobby played a key role in enabling Israel's counterproductive response by preventing the United States from exercising independent influence. In this case, as in so many others, the lobby's influence has been harmful to U.S. interests, but also harmful to Israel as well. Until the lobby begins to favor a different approach or until its influence is weakened, U.S. policy in the region will continue to be hamstrung to everyone's detriment. MR. SAYLOR: Thank you very much. We have about 15 to 20 minutes for questions, so we'll get started right off the bat. First question: How can elected officials be convinced to support a balanced Mideast policy when they do not gain benefits from standing on principle? And I'd remind our panelists that we've been asked to come to the podium and answer questions. MR. WALT: I think this is a very difficult question, and it's a very difficult challenge because the institutions that are currently arrayed to encourage support for Israel are quite powerful and quite well funded. And if you're a congressman whose constituents don't care one way or the other, but a few of your constituents care a lot and you know that there's a lot of PAC money that will go to any of your opponents, you have trouble. So I think, at least as a first step, the thing we want to have is a more open conversation about this. That's the main reason why John and I have been doing this work. We want to try and get a conversation so that politicians who do unconditionally support Israel down the line start facing questions from their constituents as to why they're doing that. Until they perceive a political price for policies that aren't in the American national interest, they're likely to keep doing this. One way -- and in fact, I think probably the best way to try and instill that is to try and educate the American people more broadly, educate members of the media more broadly, and again, try and foster a climate where we can have an open and serious conversation about those issues. MR. SAYLOR: Our second question: What about the U.S. Arms Export and Control Act and the Neutrality Act that bars -- excuse me, I'm trying to read someone else's handwriting -- that bars Americans and the Israeli army from attacking friendly nations? MR. MEARSHEIMER: The problem with legislation like that is that when you talk about what is a friendly nation or what is an enemy nation, it's very easy to find spin doctors who can define any particular nation as either a friend or a foe depending on the particular circumstances. So there are real limits to what you're going to be able to do and a result of formal legislation. I think the real key to making American policy smarter is to create a situation where American leaders are more or less independent of pressures from organizations in the lobby and can do what they think is in the best interest of the United States. And if that situation obtains, I think in most cases American leaders will do the smart thing for the United States, and I think in most cases -- certainly not all cases -- that will redound to the benefit not only of Israel but other states in the region. I think -- and I think Steve made this point clear in his presentation -- that if the United States had been free of the lobby's influence for most of the past three decades, we would have pushed politics in the region in ways that would have created a more peaceful environment. This is not to say for one second that we would have produced nirvana in the area. Steve and I are both realists. We understand that international politics is a nasty and dangerous business. But on the other hand, I think if the United States had been more independent in its foreign policy over the past few decades, we could have gone a long way towards making the Middle East more stable than it is today, which, again, is not to say we would have made it paradise on earth. MR. SAYLOR: Our next question: What, in your opinion, was the turning point for which AIPAC really began controlling U.S. foreign policy? Was it under Reagan? MR. WALT: First of all, I'd object to the premise of the question. I don't think AIPAC controls foreign policy. I think again, as I said in my remarks, I think there's a very profound influence particularly on key issues in the Middle East. But I think it's a mistake to view this as some kind of either secret cabal that controls our foreign policy or that gets its way on absolutely every issue. Then, if you -- now to answer the spirit of the question, not the exact wording of the question, I think if you look historically, AIPAC begins to have substantially more influence after the Six-Day War, when American support for Israel begins to increase, and then it really takes off, I think, in the 1980s, partly because of just internal reforms within the organization -- it gets more effective; it does better jobs with fundraising and things like that; also, because it's becoming very adroit at selling this strategic ally argument, which, again, at the height of the Cold War and especially in the Reagan era, you could make a reasonably plausible case. But by the time the 1990s roll around and the Cold War comes to an end, it's sufficiently well institutionalized, sufficiently effective, and, I might add, there have been enough sufficiently well-publicized cases of congressmen having their careers ended because they advocated a position that AIPAC didn't particularly like. Then at that point, it really begins to have a very profound influence on American foreign policy. MR. SAYLOR: Next question: You said that the U. S. gave Israel a green light to smash Hezbollah. Do you have hard evidence that the war was premeditated? MR. MEARSHEIMER: There have been a bevy of articles that have been produced which quote prominent Israeli strategists, civilian strategists, and government insiders who make it clear that Israel feared Hezbollah's missile threat. And by the way, I think this is perfectly understandable. I think if anyone of us was an Israeli, we would have deeply concerned about Hezbollah's missile threat. So Israel was looking at this missile threat, and it decided that using military force against it made sense. I find it hard to believe that people as experienced in warfare as the Israelis could have been foolish enough to believe that air power alone could have taken out the Hezbollah missiles, much less Hezbollah. But for some reason, they came to that conclusion, that with air power alone, Israel could lance the boil. They came up with a plan, and they briefed it to the United States in the weeks and months before July 12th. And it was made clear to the United States that all that was needed was a pretext to launch this air campaign to deal with the missile threat. And the Israelis and the Americans and virtually everybody else understood that there was enough back and forth between Hezbollah and Israel taking place over time that an event that would eventually come up that the Israelis could use as a cover for launching this offensive. You want to remember, I pointed out to you that it was not Hezbollah that first started bombing cities in northern Israel; it was the Israelis who first started bombing civilian infrastructure in Lebanon, because the Israelis were loaded for bear, so to speak, when the event happened on July 12th. So I think from everything we know that's in the public record at this point in time, it seems quite clear that Israel had planned this event -- this offensive before July 12th. MR. SAYLOR: The next question is split up, with one for each of the professors. Why did Professor Walt single out Wolfowitz and Feith for blame and not their non-Jewish boss Rumsfeld? And then, the question to Professor Mearsheimer: What would have been an acceptable response by Israel to a raid on its territory and missiles hitting its cities? MR. WALT: I singled out Wolfowitz and Feith because I think they were critical members in driving the case for war, moreso than Secretary of Defense Rumsfeld. I could have mentioned non-Jewish people like John Bolton as well, who I think is a very strong supporter of Israel and is a big advocate of going to war as well. So this wasn't a statement about being Jewish one way or the other. It was a statement of what you were supporting in terms of how to deal with Iraq. I didn't mention, but I explicitly mentioned to Cheney and Bush on the other side, that in the first nine months of the Bush administration, it's clear from, again, what we've been able to read in the public record, that Wolfowitz was pushing for the United States to take action against Iraq, but he was unable to persuade Bush that it was a good idea and unable to persuade Cheney it was a good idea. There's even some reports -- I don't know how accurate they are -- that Bush was starting to get annoyed by this; that, you know, Wolfowitz kept bringing this up all the time, and he eventually gets told to stop because it's getting on the president's nerves. But the point is, after September 11th, then the political stars realign a little bit, and Bush and Cheney come on board. Which is why, again, we say the lobby was a necessary condition for getting the war. Absent its pressure, you wouldn't have had it. They'd been pushing it for a long time. But absent 9/11, you wouldn't have gotten the war in Iraq either. That was critical to shaping the political calculations. MR. MEARSHEIMER: The question was what do I think would have been an appropriate alternative response by Israel. First of all, I think that Israel probably should have used some military force against Hezbollah in response to what happened on July 12th. I think it should have been much more selective and much more limited, in large part because using mass massive military force was counterproductive. It just didn't make good strategic sense. And again, I do not understand why the Israelis themselves, given all their experience fighting in the Middle East, didn't understand this. But I think that using massive military force the way they did between July 12th and August 14th was a major mistake. It should have been a much more limited attack, and they certainly should have ramped down their rhetoric. It was very foolish to say that the principal goal here is to destroy Hezbollah, and we're going to do that, and all we need is for the Unites States to give us another week or two to do that. Heck, the Israelis were in Lebanon for 18 years, between 1982 and 2000, and they couldn't defeat Hezbollah. Why in God's name did they think that they could defeat Hezbollah from the air in three or four weeks? This was just not going to happen. So they should have had very limited goals, rhetorically. They should have given Hezbollah a sharp rap, and that should have been the end of it. MR. SAYLOR: And this'll be the question that we use to wrap up our session. How can American Muslims, Arab-Americans, and people of other faiths take back our foreign policy and make it more balanced? You know, I guess I am a big believer still in the basic roots of American democracy. And I believe that although very powerful countries like the United States can do things that are foolish for quite some time without paying an enormous price because we're big and powerful, ultimately the costs of those policies do get recognized. We're seeing the costs of one of our follies every day in Iraq now -- costly for us, costly for the Iraqi people, dangerous for all countries in the region. So eventually, reality does start to impose itself on our consciousness. I think what all Americans of different faiths and different political backgrounds can do is demand a little bit more of your elected representatives, ask them harder questions, inform yourselves about different things that are happening in the world, don't take one side as gospel immediately, and in particular do everything you can to encourage an open and sober debate. Don't let people who have views you might disagree with get marginalized or smeared. Recognize that one of the great strengths of democracy is the fact that we can argue about issues. I think the more that that tends to happen in the United States, the more we're going to see American foreign policy on this and on many other issues revert to something that's more consistent with our broader national interests. Stephen Walt & John Mearsheimer, Israel Lobby Cair conference C-span 08240606. Downloadable Real Media video downloads split in 3 parts 32, 37, and 14 MB.